Orthodontics are not only for children and teens, adults need straight teeth too. While traditional braces can be cumbersome, Invisalign is removeable, concealable, and just as effective as metal braces. A Discreet Look — If you feel that metal braces don't fit with your self-image, a practically invisible form of orthodontic treatment might suit you. More Dietary Choices — To protect metal wires and braces, some diet modifications are necessary. With clear aligners, you won't have any limitations when it comes to food. Clear aligner technology has been improving over the years and can correct many malocclusions that once would have been too complicated for this form of treatment. Yet there are still some situations for which traditional braces would still be best. During your initial consultation, we will go over all of the aspects of the treatment to determine what the best orthodontic solution is for your smile. Here's how it works: Specialized computer software is used to design a plan for moving your teeth from their current positions into the best possible alignment. This movement will be broken down into perhaps several dozen stages. For each stage, the Invisalign company will manufacture two plastic mouth “trays” or “aligners,” one to fit over your top teeth and one for the bottom. You will wear this first set of trays for two weeks, for a minimum of 20 hours per day. 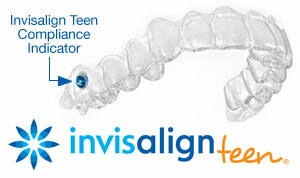 As you progress through the program, new aligners will be provided to you, adjusted for the gradual movement. You will keep doing this until your teeth are correctly aligned. Also, please keep in mind that while wearing clear aligners is very different from wearing braces, the importance of retaining your post-treatment results is exactly the same. You'll want to be sure to wear your retainer exactly as prescribed after your treatment is completed to protect your investment in a beautiful new smile. 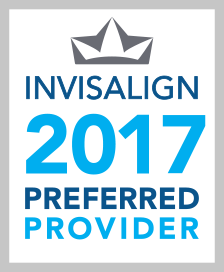 For more information on Invisalign in the Bayside or Bellmore, NY area call Silverman & Associates Today! The Bellmore office phone number is (516) 781-9700 and the Bayside office number is (718) 225-0515. Schedule your appointment today!